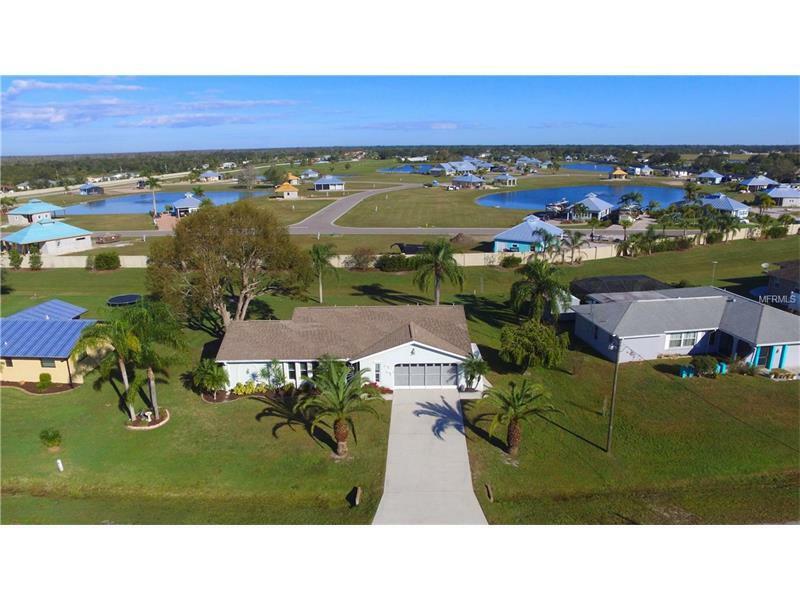 Welcome to Sunnybreeze Harbor Golf Course just over the Punta Gorda line in Arcadia. This furnished 1984 concrete block constructed home situated on .29 acre lot features the split bedroom floor plan everyone desires with master bedroom on one side and guest room on the other. Over-sized 2 car garage that can also fit a golf cart has access to second bathroom. Beautiful enclosed Lanai off the back overlooking spacious yard. This home is perfect for the first time home buyer, small family, seasonal snow-birds and multi-generational living. Recent upgrades include new carpet throughout, new windows 2015, new septic drain field 2016, hot water heater 2015, keyless entry garage with screens & reinforced door. Pass-thru window from kitchen out to Lanai is great for entertaining guests. 15'x14' Master bedroom features pocket sliding glass doors out to lanai and en-suite bath with walk-in shower and dual sinks. Spacious 15'x11' guest bedroom is sure to please. Guest bath features tub/shower combination. Mature landscaping with upgraded curbing around flower beds. Hurricane storm shutters. Great location, less than 3/4 of a mile to golf course and 1/2 mile to Liverpool Park and Boat Ramp with access to Hunter Creek and the Peace River. This community is a true hidden jewel with only 58 home sites.